The particularly powerful shredder for the department. The efficient drive offers a high degree of efficiency for an increased cutting performance in continuous operation. 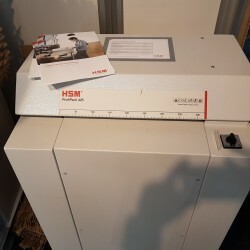 The powerful cutting roller for large quantities of paper is impressive due to its high cutting performance. HSM Pure 320 - 5.8mm An asset for the office. 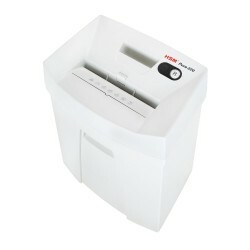 This timeless modern document shredder is quiet in operation and perfect for the workplace. 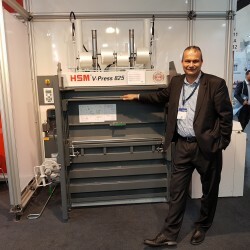 It is equipped with a pressure-sensitive safety element, a lifetime warranty on the sturdy steel cutting rollers and energy saving management for stand-by operation. 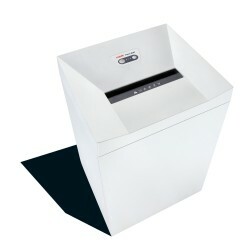 shredder HSM Pure 630 - 3,9 mm Solid and reliable document shredder for small workgroups. 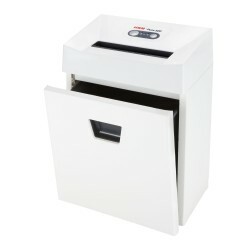 The powerful motor with overload protection shreds documents, loyalty cards and credit cards in continuous operation safely and reliably. 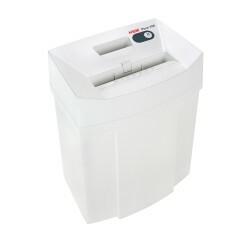 The shredder material is conveniently removed through the removable, reusable waste bag. 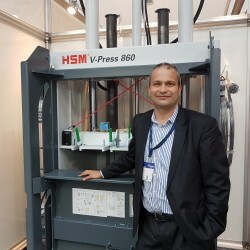 The mobile baling press HSM V-Press 60 compresses plastic film and lightweight packaging material right where the material is.